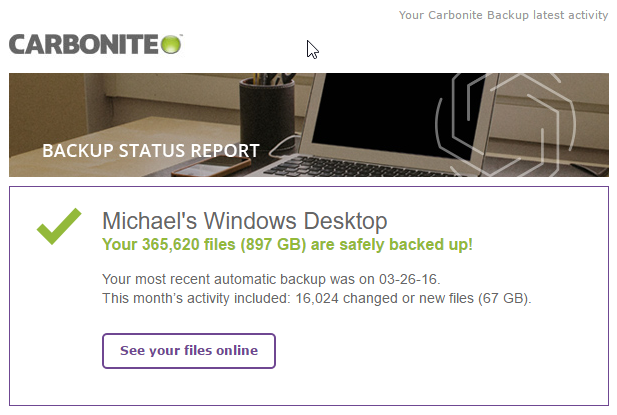 Yes, I’ve backed up almost 900GB of data with Carbonite. And honestly, that’s not even everything on the network at home. Carbonite is not free though right?